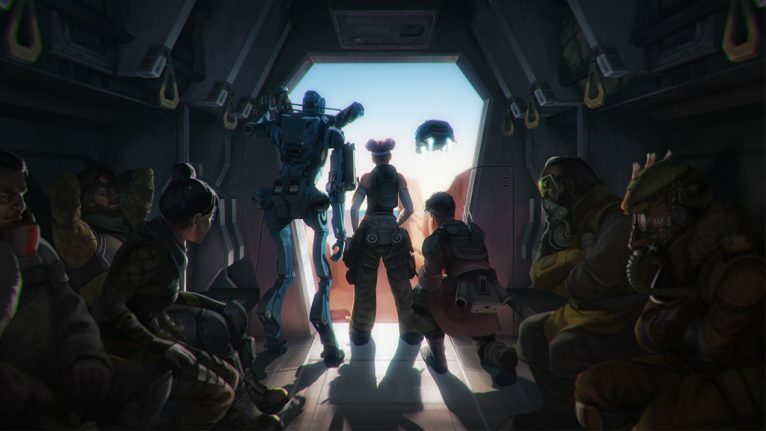 Players are apparently dying too fast in Apex matches. Star streamer Michael “shroud” Grzesiek has been playing Apex Legends on stream a lot since the game was released in early February, even with his left arm partially immobilized to recover from a scooter accident he had last week. But during an Apex stream last night, shroud said he feels like the game is getting boring because players die too fast. What shroud is criticizing are players who drop in areas with high-quality loot as soon as they get off the aircraft at the beginning of a match. Some players seem to call any early drop a “hot drop,” while others use it to refer to dropping on a Hot Zone, which is a special area on the map that varies every match and has an increased loot quality. Both terms imply that hot-dropping is going to areas that are highly contested by opponents at the beginning of a match. This means that while players are likely to find great weapons and accessories by doing so, they also put their survivability and likelihood of winning that match in danger since another squad might have landed before them and gotten all of the loot. Since Apex is a battle royale game where the ultimate goal is to be the last team standing, risking survival for loot in the very early game seems to be a bad decision from shroud’s standpoint. When several players are hot dropping, matches can end faster because many competitors will die in a few minutes, or players who dropped in other areas might have trouble with finding opponents to eliminate since a great number of them have been eliminated in highly-contested areas and Hot Zones. Shroud has joined DrDisrespect on the list of Twitch streamers who are bothered by the current state of Apex. DrDisrespect’s criticism was toward the lack of new things to do rather than player behavior, though.